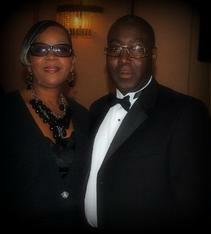 Mr. Samuel Smith, Jr. was born on June 2, 1957 in Gary, Indiana to the late Samuel Sr. and Griselda Smith. He graduated from Bishop Noll Institute High School in 1975 and went on to attend college at Winona State University in Winona, Minnesota. He continued his education at the Worsham College of Mortuary Science where he became a licensed funeral director and embalmer. Samuel Smith went into business in 1984 when he acquired Dennis Funeral Home in East Chicago, Indiana. During his childhood he was afraid of death and dying, but as an adult he decided to confront his fears head on. He wanted to be able to help people by comforting them during their difficult times and assuring that the funeral process runs as smoothly as possible. As the result of a conversation with Reverend Dr. J.C. Wade, Jr. and a dear friend Edye Hughes he decided to change the name of the business to Divinity Funeral Home. In 1998, he was elected to the Indiana State Senate (Second District). While in the Senate he sat on various committees (i.e. appointment and claims, elections and civic affairs, governmental affairs and interstate cooperation, judiciary, and pension and labor.) Mr. Smith is a strong advocate of education, health care, Medicaid and elderly rights. Sam and Diane are active community members, with memberships in numerous social, civic and professional organizations (i.e. The National Funeral Directors and Morticians Association, National Funeral Directors Associations, Indiana Funeral Directors Associations, Lakeside Lodge #47 F&A.M. P.H.A., Magic City Consistory #62, Mahomet Temple #134, and the Zion Missionary Baptist Church of East Chicago, Indiana.